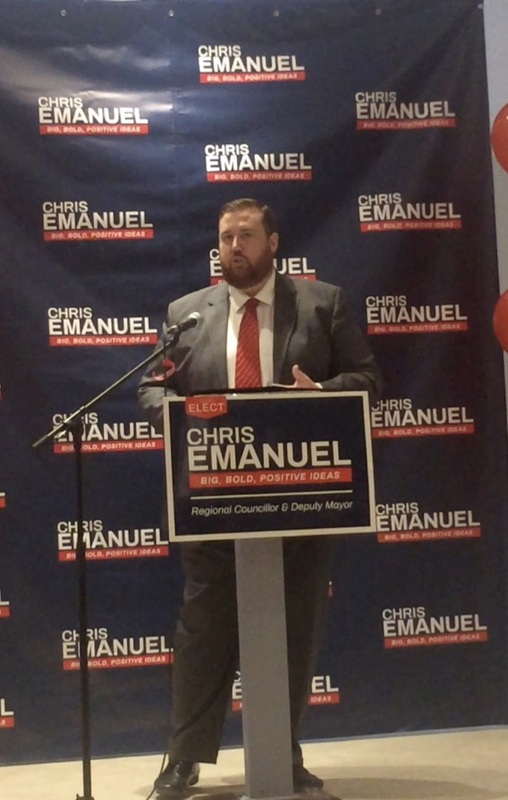 Last night I wander along to Chris Emanuel’s campaign launch in the Veterans Hall at Millard. He is running for Regional Councillor, hoping to step into John Taylor’s shoes if – as widely assumed - Taylor effortlessly ascends to the Mayoralty. There are balloons and razzamatazz. And a pay bar. It’s lively and there are lots of people. No sign of John Taylor but I see Tom Taylor so the dynasty is represented. And I see the smiling Ward 4 councillor, Tom Hempen, and Dave Kerwin from Ward 2. After a hagiographic introduction from his former school teacher, Chris sets out his stall which he says is full of big, bold and positive ideas. He has dipped his toe into the private sector and now returns to public service refreshed and reinvigorated and brimming with new ideas. He said he wanted momentum to launch his campaign and, on the evidence of last night, I think he has the edge on his rival, the veteran councillor Tom Vegh. After 15 years on the Council in one form or another, Tom Vegh has abandoned his Ward 1 berth. It's time do or die. This is shaping up to be quite the contest. But here’s my advice to Tom. In politics, never do good by stealth. If you want to be taken seriously then get your website up and running in the next 24 hours. It’s been way, way too long undergoing maintenance. If you’ve got something to say we want to hear it.